Profit Nov 6th, 2018 $6.00 API Payment. Withdraw to allhyips from HELONEX LIMITED. Profit Nov 5th, 2018 $6.00 API Payment. Withdraw to allhyips from HELONEX LIMITED. Profit Nov 4th, 2018 $6.00 API Payment. Withdraw to allhyips from HELONEX LIMITED. Profit Nov 3rd, 2018 $6.00 API Payment. Withdraw to allhyips from HELONEX LIMITED. Profit Nov 2nd, 2018 $6.00 API Payment. Withdraw to allhyips from HELONEX LIMITED. Profit Nov 1st, 2018 $6.00 API Payment. Withdraw to allhyips from HELONEX LIMITED. Profit Oct 31st, 2018 $6.00 API Payment. 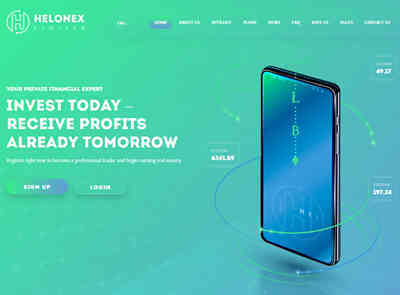 Withdraw to allhyips from HELONEX LIMITED.